Even in Texas, little ones can arrive before the snow leaves! 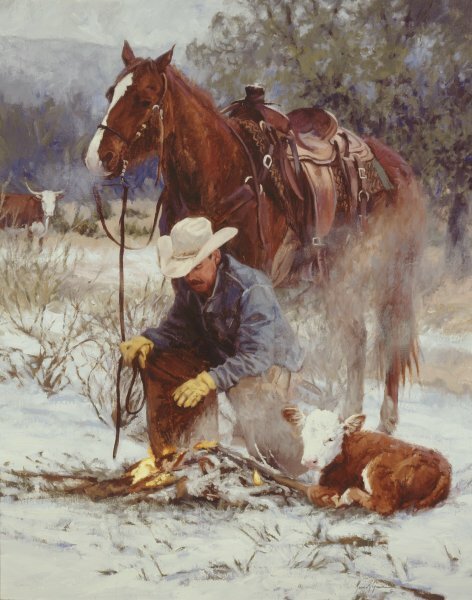 Bruce Greene captures a special moment when a cowboy and his horse suddenly find themselves "babysitting" a newborn. The warm fire will help keep the little guy warm until mother returns.